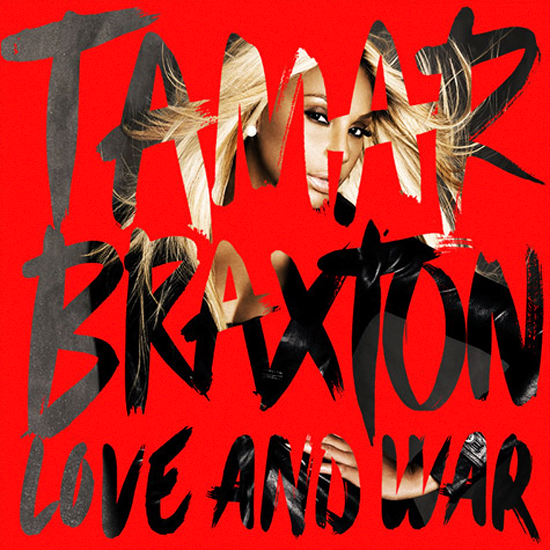 It's been over 10 years since Tamar Braxton released an album, and now we finally get to see the release of her sophomore album ‘Love and War’. The singer-reality TV star and talk show host previewed a few songs ‘Hot Sugar’, ‘Love and War’, ‘Sound of Love’ for us on her reality TV show ‘Tamar and Vince’. ‘Love and War’ will have 14 songs on the album including the ones mentioned above and her singles ‘Love and War’ and the Summer anthem ‘The One’. Tamar Braxton ends the album in the old R&B traditional way - with a Gospel song titled ‘Thank You Lord’. Photographed above is Tamar Braxton's album cover where she is striking hot, and below is the album tracklist. Be sure to get the album on September 3, and it is available to pre-order via iTunes today! If you haven't seen it yet - watch the video to Tamar's newest single ‘The One’ below.